1. Alex M.O.R.P.H feat Shannon Hurley "Monday Morning Madness"
4. Alex M.O.R.P.H feat Shannon Hurley "Monday Morning Madness"
After releases on Raz Nitzan, Armada, inHarmony Music, and AVA Recordings to name a few, Alex Leavon brings in UP again as a premier on his brand new Label, “PerspectiV Music” with a purely trance style track ‘TEHUTI’. A perfect balance between Energy but hypnotic, happy but mellow letting the tempo begin and slowly kicks in hard & more energetic. Definitely some mainstream rave material here which conveys the exact energetic feel. Fresh new Vocal Trance here at RNM, we are the home of it after all! 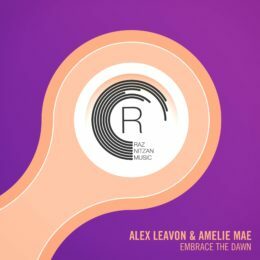 Alex Leavon is back on the label once again this time combining with Amélie Mae for ‘Embrace The Dawn’. Simply stunning! Two RNM Alumni return to the label and bring their A-game here on RNM, the home of Vocal Trance. 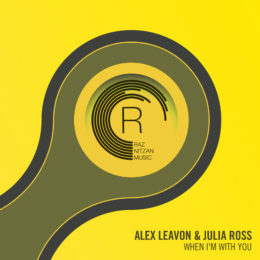 Alex Leavon simply makes one epic production after the other and joining him here on ‘When I’m With You’ is the incredibly talented Julia Ross. With progressive and EDM vibes and Julia’s perfect vocal, this one is BIG. 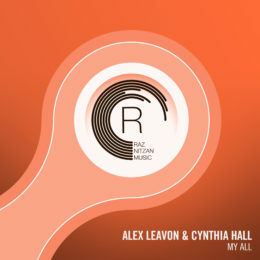 We’re incredibly proud to have Alex Leavon as a member of the RNM Vocal Trance family, having released a number of epic tracks on the label including ‘My All’ with Cynthia Hall and ‘Love Without You’ with Neev Kennedy. This time he’s launching us even further into the atmosphere with his incredible ‘When The Sun Goes Down’. A special release for us at RNM as we remember the incredible Cynthia Hall and the light she brought to the Trance Family. Joining forces once again with Alex Leavon for ‘My All’. Stunning breakdowns, slamming bass and sweeping melodies that enchant and excite: Alex Leavon’s dual debut on Andrew Rayel’s inHarmony has it all. 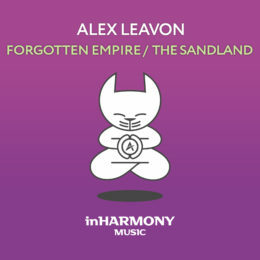 From ‘Forgotten Empire’ to ‘The Sandland’, this double offering is of an otherworldly quality Trance fans just have to discover. 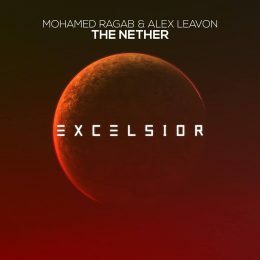 Label boss Mohamed Ragab joins forces with German talent Alex Leavon to produce a fine progressive Trance gem. Full of emotions, energy, euphoria and a banging climax, The Nether will definitely bring in the chills! 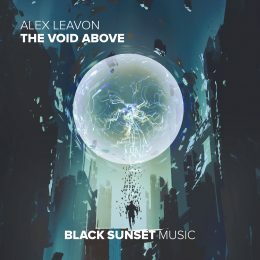 Following the smashing ‘Ogma’, ‘The Void Above’ sees Alex Leavon hit Black Sunset Music with another one of his sonic firestorms. From the energetic, hyper-melodic build-up to the breathtaking breakdown with piano-led soundscapes, this cut is Trance in its purest form and one that will remain a top favorite for time to come. 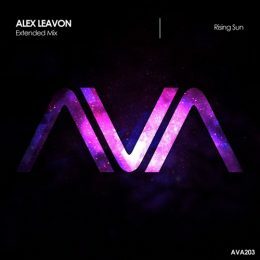 Huge return to AVA from Alex Leavon with an ethnic infused big room trance affair. Heart pounding bass and searing melodic elements cascade in a thunderous package! After several releases on Armada, Enhanced and Black Hole which garnered the duo the support of names like Tiesto, Armin van Buuren, Hardwell, W&W, Afrojack, Above & Beyond, Gareth Emery, Blasterjaxx, Andrew Rayel, Ferry Corsten and Thomas Gold. 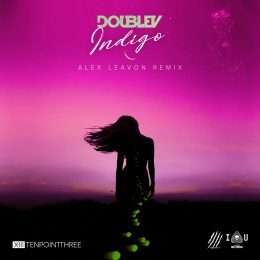 Moldavian act DoubleV is back on Ten Point Three Records with the remix, courtesy of Alex Leavon, of their original track “Indigo”. Leavon delivers and epic, energetic and almost harsh trance version which impeccably enhances the many ethereal shades of DoubleV’s original version. 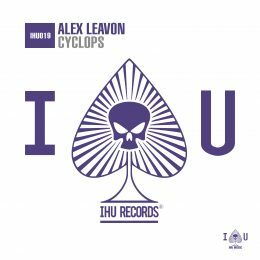 After releases on labels like Raz Nitzan, Armada, SirAdrian, FSOEX and Black Sunset, Alex Leavon is once again back on IHU Records with a fantastic instrumental banger called ‘Cyclops’. Brace yourself for an aggressive, trance/big room experience which will leave you breathless. 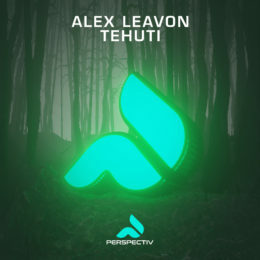 As eloquent as Martin Luther King in his famous speech, Alex Leavon’s latest offering turns the world of Trance fans upside down. 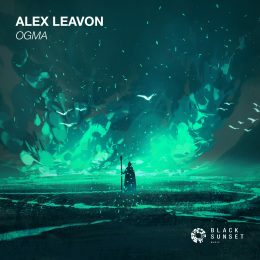 With ‘Ogma’, Alex Leavon delivers a magical song packed with forceful synth and rousing melodies, wrapped in an entrancing atmosphere and amazing build-up. Tunes like this one are simply godlike. German DJ and producer. Trance artist, sound engineer and music shaman. Among all the creative forces known to man, music may be the most powerful of all. Its power is almost impossible to resist. Music touches our hearts. It entrances us, puts us into limbo, into a state of intoxication somewhere between daytime and dreaming. All of a sudden anything is possible if we just give ourselves to the music, let ourselves go in waves of sound. As people have been doing for thousands of years. 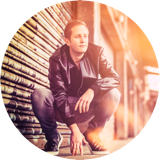 German Trance & Progressive Producer born in the South of France. Alex Leavon discovered at his young age his love to music and computer. His ambition grew in to the secret of combining passion and technology. His ability grew with it and he became more and more fascinated with the power music has over people, bringing them joy with each beat. 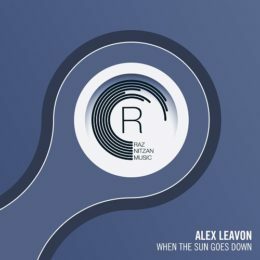 Released on Armada, FSOE, Raz Nitzan, AVA Recordings, IHU Records Essentially, ALEX LEAVON is all about the power of music, bringing together electronic dance music and traditional classical music in a coherent and aesthetically balanced way. ALEX LEAVON is following his dream and ‘Trance’ is the word. Trance is the music which use to release us from the strict confines of the ‘here and now’, aesthetically and sometimes even physically, so that we can open new horizons of consciousness. Trance is an awakening, a life-changing moment, a feeling of euphoria. It is falling in love again and again with this sound, with this feeling of being one with the fans & crowd. Congratulations ! The direct download has been sent to your e-mail address. An error occured ! Please try again.